The FiveStar is a compact, self-contained carpet extractor with powerful brush agitation to effectively clean carpets, hard floors and grouted tile. It weighs only 40 pounds so it s light enough for anyone to handle, plus the compact body design and fold-down handle make it a breeze to transport and store. The FiveStar self-contained carpet extractor is very easy to use with built-in solution and recovery tank that can be used as a portable bucket. 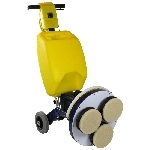 Use the versatile Cimex machine by changing the pads out to scrubbing pads that are made for cleaning commercial carpet and also help agitate residential carpet. This popular wand is now available to work with high or low pressure and high temperature. This precision, all-stainless wand has extra length which means a longer and more comfortable stroke. 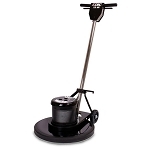 It handles up to 500 psi, has a 12" head, comes with two 11002 jets and an adjustable handle! Very Comfortable Single Jet 32" Long -9.5". Head curve before trigger for increased comfort. Built for Truckmount and Portable. Use Do the "backs" of stairs with ease! Use the Counter rotating brushes with encapsulating carpet cleaning products for a fast and easy way to clean commercial carpet and even some residential carpet. 6 feet of flexible vac and pressure hose (pressure hose runs inside of vac hose), and heavy-duty vacuum relief slide, the new Deluxe HyDry is much more comfortable and effective to use. Clean carpet like the professionals! This portable machine has heat to help aid in making sure that your carpets or upholstery are thoroughly cleaned. Clean using HOT WATER EXTRACTION!